I've always been curious about self heating masks as I've never tried them before. 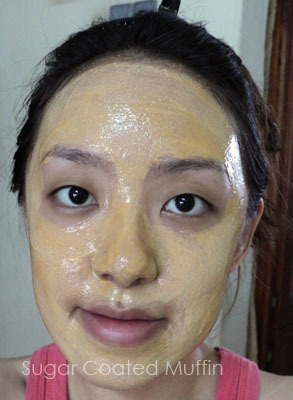 Apparently the heat opens the pores to allow pore cleansing, tightening and elimination of dead cells. 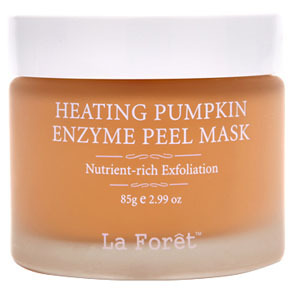 Product says : La Foret's Heating Pumpkin Enzyme Peel Mask delivers pumpkin's nourishing benefits into the skin. Gently exfoliates dead skin cells and helps correct cell damage. Leaves the skin detoxified and silky smooth. Nutrient-rich exfoliation. When I squeezed this out of the packet, it feels drier and more solid that I expected. However, the moment it touched my face, it kinda 'melted' and there was a warm feeling that was quite nice actually xD For this mask, I think it's easier to apply using your fingers compared to using a brush. It smells sweet and the scent stuck to my hands and face for a few hours. I was about to wash it off, THEN I noticed that there's tiny exfoliating beads in this.. =_="
Idiot.. Why are you so blur?! The result? 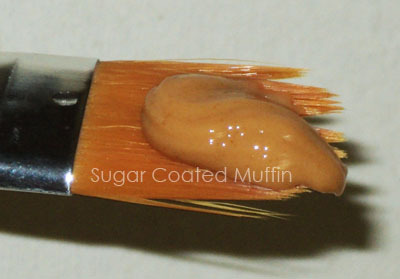 Soft, smooth skin, tightened pores, softened skin surface and slight brightening. 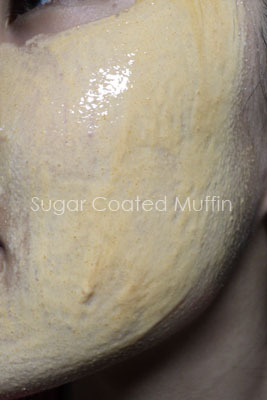 I think this is good to use before extraction ^_^ It also didn't dry out my skin like some scrubs do. There is one thing I'm confused about.. Why is it called a peel mask? It's way too creamy to dry so what exactly am I supposed to peel? Or were they referring to pumpkin skin? Hm... I've never heard of a warming mask. o: I'm so used to brands touting their masks' 'cooling' effect. Haha.